And today we are updating you with many small and nice fixes and features here and there which you will love for sure. If you have it installed already just open your Google Play store and search for update otherwise you can click or tap on the badge below. iOS version update is submitted to AppStore and we are waiting for approval. This is a fantastic post. The visuals are great, and the post is utterly well-structured. The update is massive, considering the list of improvements, and fixes on the eSteem mobile. I have updated mine, and I can see a lot of impressive features, as listed in this post. I appreciate the consistent work in making the app to be more useful. The post is precise. It contains every relevant information in a specific style. Why would you use eSteem when you’ve Partiko? 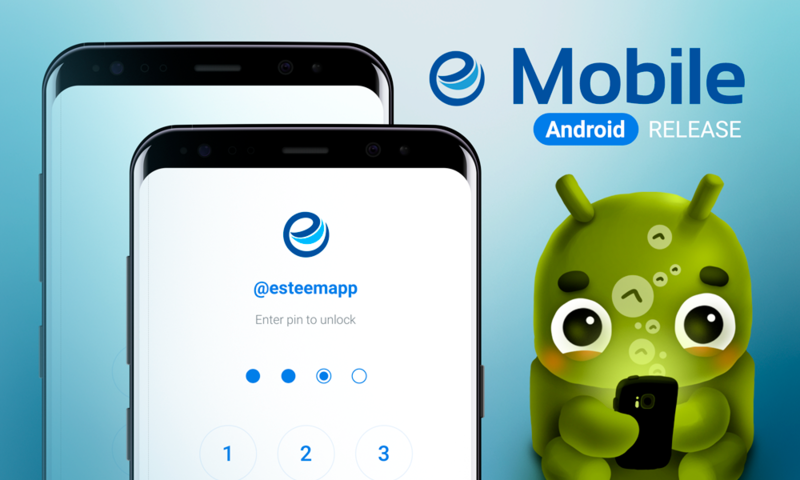 @cryptoeera eSteem is the first mobile and PC app for the steem blockchain and there are numerous reasons you would choose to use eSteem over other apps. With eSteem apps, you only see what posted, no enforced additional/destructive texts (eSteem does not promote their products with userbase), it's open-source, it’s completely decentralized (you can connect to another server yourself or to your own server if other servers are not responding), you have total control over your privacy. I can't list all, Download and explore more of its amazing features! Well, but Partiko has one advantage that shadows all of yours, which is: granting Partiko points redeemable for Steem Upvotes or, at the end of this year, used on their own exchange to convert directly into other Cryptos. Wow really? I didn’t know that, thanks for letting me know. This is true! I was wondering what the big difference was. Why would you use Partiko when you’ve eSteem? Great updates! I love having my favorites, bookmarks and drafts available here. I am looking forward to exploring all the new updates. And I just have to tell you how grateful I am that you do not put advertising spam on every comment that I make! You rock! Is it possible to have the voting bar at the bottom of the posts be a different color than the comment section of the post? I can't tell you how many times I have voted and then realized that I just upvoted a comment rather than the post like I had intended. this very great update to maximize all the blogs in the community users. this will make the community strong, love this app. great job the good-karma and the team. About 132.23$ has been spent to promote this content. Already testing it! Looks good other than that it crashed when I tried to access my wallet. I'll update it and test again! Thanks @good-karma for your work, I have voted your witness too. Cheers! Great to hear from you buddy. A few days ago I did install eSteem on my Android phone but it was really slow, like it would take a lot of time loading my Feed or trending. I made a video of it and tried to upload it on @dtube but unfortunately probably @dtube bug didn't allow me to upload. Hey, thanks for comment! Are you using latest version of eSteem v2? Please make sure you using latest version and new app always for best experience, because we regularly update and improve user reported bugs, suggestions, etc. I guess it is the latest. I started to use this application just recently so i guess it's a new version, but where i can check it to be sure? Please which device do you use, Android or iOS? Iam an iOS user and realised esteem app is draining the battery. A 10 minutes write up used 25% of the battery where as other dapps take 2-3%. I am not sure if this was brought to your attention. Im still using the app though but a fix would be nice. Can you check if your app is updated to v2.0.9, this should be fixed. The latest version of the app is v2.0.9 but App Store is taking time to process it. I like how esteem dapp work like seriously, I enjoy all the features in places. More grease to your elbow. And I also appreciate the support at all times. I hope the update will boost the app and improve it features in order to make it more easier to use for the users. This post has received a 23.08 % upvote from @boomerang. You got a 33.59% upvote from @brupvoter courtesy of @steemium! HELP....downloaded the app today and got logged in and can see my account ok but when I went to post I get "Fail! You dont have permission!" Any reason why I cannot post from the app? Looks very promising by features disclosed and the screenshots. @steemium purchased a 32.05% vote from @promobot on this post. The version in that link is still esteem mobile v2.0.8. You made more than 550000 upvotes. Your next target is to reach 560000 upvotes. Thanks @good-karma for the beautiful information! Already started to use it. It looks cool so far...good luck. Your UA account score is currently 8.476 which ranks you at #1 across all Steem accounts. In our last Algorithmic Curation Round, consisting of 222 contributions, your post is ranked at #8. I found a bug, it won't let me scroll. But... can you add option to choose reward from post? Now by default is 50% SBD and 50% STEEM. I would like to have possibility to change it. Good news. In a amazing . what is the Best witch in eSteem or partiko? This is great news... Cool development. Time to update my app! Noticed little changes, but am actually looking at something still, haven't seen it, well was hoping to see the ratio of reputation just the way it was in several older version, asin like reputation (56.89) like that. Hope that will be added? Thank you very much for the continuous improvement of the app! 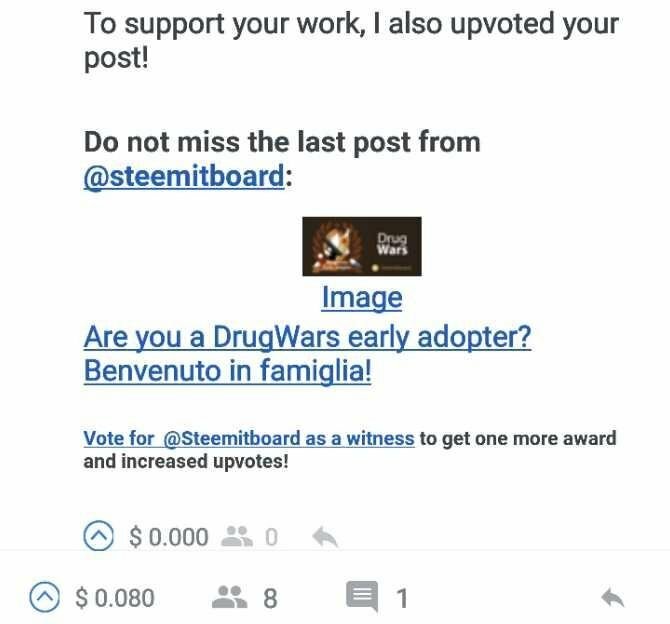 I use it to post and comment on the Steem blockchain and I love it! P.S. Is it possible that the link of Google play redirects me to the versión v2.0.8 and not the last one? Google Play Store hasn't included the update, this depends on location, please check back in some time. I used this apps for making steem post. Kita percaya bahwa eSteem adalah yang terbaik untuk saat ini. Kerja keras tim pengembang akan menghasilkan suatu produk yang berkualitas. Akhirnya secara perlahan-lahan eSteem akan menjadi aplikasi dengan standar kualitas yang telah lulus uji coba oleh dan bersertifikat IEEE. I totally satisfied with esteem and it's new specifications will be interesting. I am using daily a post with esteem app and I will continue with it. Can't get it to load anything, my feed, blog, try to post, nothing. Tried uninstalling and re-installing and still no dice. Any idea on how to troubleshoot @esteemapp ? Hello, I would like to know how to download esteemapp on my laptop with windows 7 please?? ps. I'm not sure if you saw this, but you may find this interesting: Witness of the people, by the people, for the people in which I also mentioned you :) Thanks for your efforts!